On average, I think most of us are pretty stressed out. There’s a lot of pressure to be a lot of things to a lot of people: parent, spouse, friend, employee, and the list goes on. And we’d love to get a massage or have a spa day, but often we don’t have the time. Luckily there are things you can do to help manage your stress that don’t take up big chunks of time. Here are some of my favorite quick ways to reduce stress. Watch a funny TV show or YouTube video. Laughter can really help reduce stress, so catch a quick 30 minute sitcom that you love or even a few YouTube videos to get you laughing. Laughing releases feel good chemicals in your brain, helping to ease your stress levels and help improve your mood. Plus, watching something funny is just fun, and it’s nice to mentally get away for a bit, even if it’s only for a few minutes. Use aromatherapy. Scents can have a big effect on your mood and the right scents can really help you relax. I’m not an aromatherapy expert, but I do keep a bottle of lavender oil in my nightstand to help me relax before bed. Try a calming scent like lavender or even a mixed scent designed to help you relax. Have a cup of herbal tea. There are blends of teas that can help you destress. Chamomile tea is really well-known as a stress reliever, but there are a lot of options out there. One of my personal favorites is Yogi Tea’s Honey Lavender Stress Relief Tea . There’s something really soothing about sipping from a hot cup of tea that helps me relax. Use an app to help you meditate. Meditation is something that you can do pretty much anytime, anywhere, and you don’t have to meditate for hours at a time to see calming benefits. But, for beginners, it can be hard to get into meditation. The mind wanders a lot until you train it. Luckily, there are great tools that you can use to learn to meditate, like apps that will take you through guided meditations. The folks at DeStressify sent me a copy of their DeStressify Pro app to test out. You create a plan with destressing practices, either starting with their core plan which chooses practices for you, or you can choose your own. You can schedule times to do the practices, and can even set up reminders that your scheduled practice is coming up. It’s nice to have a reminder to do something to actively manage your stress levels instead of just coping when they get too high. DeStressify Pro allows you to try out quick (generally around 10 minutes, some are shorter) practices to help guide you through reducing stress. The practices range from guided meditations and visualizations to calming music that helps you relax. I found the guided practices most helpful—it’s a lot easier to follow a meditation if someone is telling you what to think about and visualize. To help you figure out what kind of practices are helping you, each day you’ll record your stress level so you can chart your progress over time. I’m a numbers person and I like to be able to see that what I’m doing is helping me make improvements, so I’ve really liked the stress charting feature. You can also track your sleep quality, which is another great way to check and see if the practices you’re trying are helping you feel less frazzled. If you’re interested in trying out the DeStressify app, you can download it in the Google Play store or in the iTunes store. What’s your favorite quick way to reduce stress? Have you ever tried guided meditation? Do you have to remind yourself to do things to help you relax? I make myself much more stressed out than I need to. As much as I don’t want it I think I also feel uncomfortable when there is no stress. I really need to find that balance. I like to de-stress with a good book or maybe a movie but I have to be careful to not spend too much time on either bc for me it can turn into a way for me to avoid what’s really going on in my life instead of dealing with it. I also love to take walks outside or be in nature! Yeah, I hear ya on the no stress thing; I definitely work better under pressure. Being outside is such a great way to relieve stress, even if it’s a short 5 or 10 minute walk. When I was writing my dissertation I used to take walk breaks, which really helped me clear my mind. These are wonderful tips, friend. I love turning everything off (yes, the phone goes off! ), and going to The Quiet Place (http://thequietplaceproject.com/thequietplace) and relaxing for a moment. I do this once in a while; it’s good for the soul and helps me readjust. 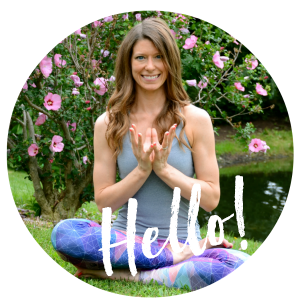 I used to teach guided meditation in my Yoga classes! Thank you so much, Tiffany. I’ll have to check out The Quiet Place. I need to look into learning how to teach guided meditation. I do a tiny bit during savasana, but nothing special. I totally did one of those tips yesterday! I caught up on The Ellen Show via YouTube 🙂 great tips, Beth! 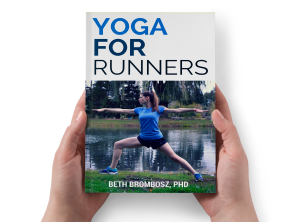 I usually run or do yoga to de-stress. Also walking my dog or just hanging out with him reduces stress pretty quickly! Love it! Meant to be. 🙂 Glad your app is helping! I love taking baths and reading! 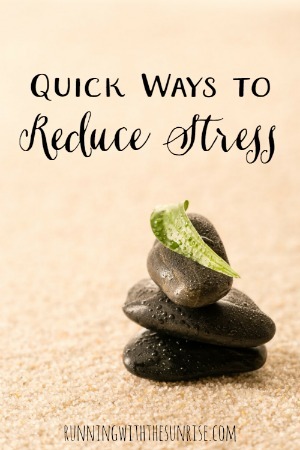 I must say that It attacks us from multiple angles, and finding its sources can be a tedious job that ends up increasing it .But after reading this I must say that this is a best guide for those who are really searching the tips to get relief from stress. Additionally,I must say that walk for twenty minutes each day. It changes body chemistry, the nervous system clears, the inner electrical storm goes away, and neurons go out and dance in the streets of your brain. Aerobic exercise is especially good for producing endorphins in the body.One can also attend coaching classes that helps people to get relief from stress. Answering your question in the end of the article, I do use meditation for relaxation, also not guided meditation because I just like to follow my own practice. I think if you get used to meditating everyday it gives a really nice little boost to your day. Herbal tea is also great as you mentioned in the post, although I like to drink those in the evening before going to bed. In the morning I am more the green tea / oolong tea type of guy.